Android V5.0 is the latest Android Operating System developed by Google, this version 5.0 of Android is titled as Lollipop and one of the biggest update with much more added features and fixes. Every Android OS smartphone users are eagerly waiting for this Android 5.0 Lollipop update which will be releasing on Wednesday 12th November 2014, but one barrier in this upcoming Android Update is only few smartphone devices will get this update of Android 5.0 Lollipop so which are those first devices which will get this update of Android 5.0 Lollipop we have mentioned it below. These are the smartphones devices which are officially announced till now which will get Android Lollipop update officially, if your smartphone device is not listed in this list than don’t get disappointed as every device which is capable and suits the system requirements of Android Lollipop Update will receive the update but it will take some time and we will also update you by updating this list of Android Lollipop Supported devices. So now let’s check out Whats new in Android 5.0 Lollipop Update. Huge changes in User Interface (UI) in Android Lollipop, this version of Android have made lots of changes in User Interface which makes it simple to use as well as eye catchy with its nice improved effects. Android 5.0 Lollipop update will be available for all which means it can be installed on all android devices like Smartphones, Tablets, and Wearable Gadgets such as wearable watches. Android 5.0 Lollipop includes more than 68 languages. Modified notification system, notifications will be displayed on lock screen as cards which means notifications will now be accessible when screen is locked. DND (Do Not Disturb) feature for notification. Android 5.0 Lollipop update will improve battery performance and will extend the battery life. Individual apps will display multiple cards in recent menu in past android version it used to show only one entry per app. for e.g. if you web browser is opened with multiple tab opened, in recent menu it used to show only one menu which is your browser but in this Android Lollipop in recent menu it will also show all the tabs open of your web browser. 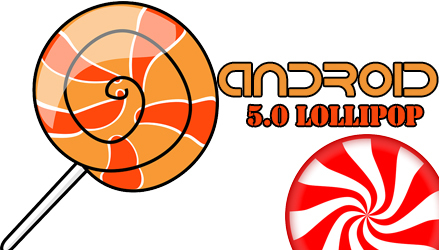 Hope all your queries regarding Android 5.0 Lollipop have been answered in this article, if you have any more queries or confusion regarding Android 5.0 Lollipop feel free to comment.